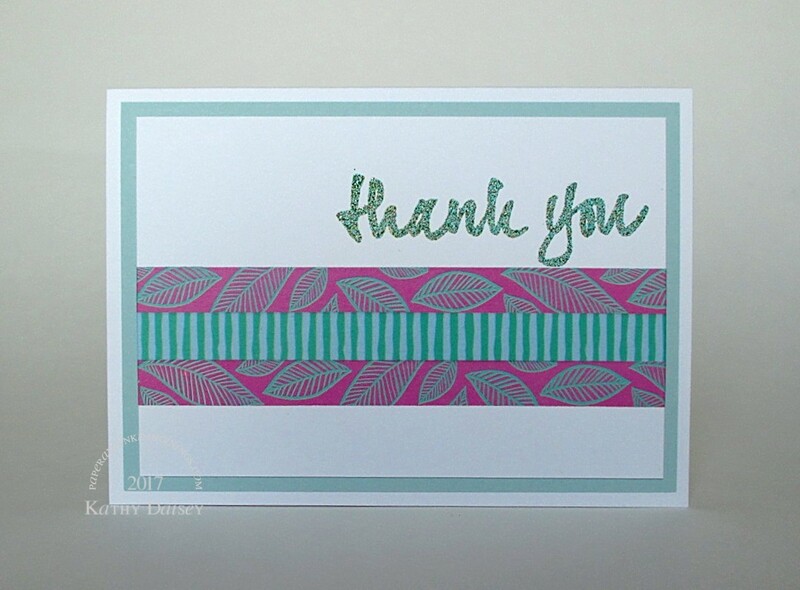 I embossed several of this thank you stamp, all with different color embossing powders. I think the pink and green washi tapes go well with the verdigris sentiment. Supplies: Stamp – Avery Elle, paper – Neenah Classic Crest Solar White, Stampin’ Up! Pool Party, ink – VersaMark, washi tape – American Crafts Amy Tangerine On A Whim, embossing powder – Ranger Verdigris. Categories: card, note, thanks | Tags: American Crafts, Amy Tangerine, Avery Elle, On A Whim, Ranger, Stampin' Up!, Tsukineko, VersaMark | Permalink.